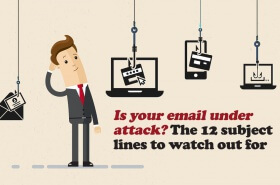 Cybersecurity experts have revealed a list of the 12 most common subject lines used in phishing emails targeting businesses. In many cases, the language contained in the subject line of the email mimics popular terms used in the workplace to give the illusion that an urgent response is required; the idea being that an employee is more likely to open and respond to an email from a work colleague or their boss rather than a message from a stranger. The data has been compiled by cybersecurity company Barracuda following an analysis of 360,000 phishing emails in a three month period. 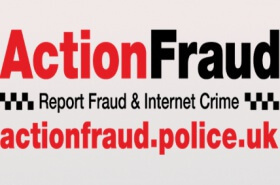 The list shows that fraudsters are using a combination of personalisation and pressure in an attempt to deceive victims. Please be aware of fake emails that purport to be from Virgin Media. The emails threaten the recipient with “automatic disconnection” due to “invalid billing information”. The links in the emails lead to genuine-looking phishing websites that are designed to steal your Virgin Media account login details. No comments by Caversham Computers yet. Copyright © 2019 Caversham Computers. All rights reserved.